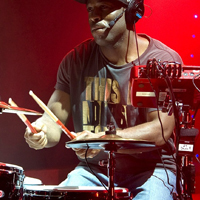 Drum sampling and synthesis have been around for decades. In early days, these instruments were a synonym of electronic music. Today, these units are an integral part of the music industry of all genres. 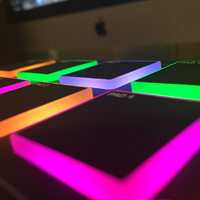 Not only is electronic drumming used by DJ’s and producers of electronic music, but even pop music producers use this tool largely, in order to cut their expenses by replacing a human drummer. It can also help get a cleaner and more refined sound. Even traditional drum machine devices are not as frequent these days. Modern technology brings drum machines in a form of software, which makes the things even better and cheaper. 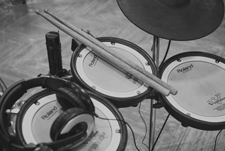 Today’s market offers various kinds of drum software. You can find plenty of emulators of iconic vintage instruments, samplers, step sequencers, all-in-one plugins, as well as virtual studio acoustic drum kits. Whether you’re a pro or someone who want to use this plugin for fun, you can find the perfect one for you. The offering of plugins is huge. Some of them are designed for professionals, with excellent sound quality and a pretty high price tag. On the other side, you can also find free software of a pretty decent quality. Although it might seem too expensive, this EDM drum machine offers a great value. First of all, it is important to mention that this plugin is designed by experienced dance music producers. Versatility is definitely its strongest points. 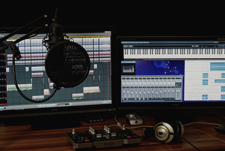 You can either create your own beats by using the sounds you already have or use some of the thousands of presets, patterns and sounds that come with the product. You can count on very rich effects section, as well as on up to 8 stereo outputs. 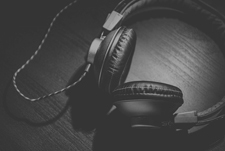 It is a perfect tool for pretty much every electronic music genre, which offers excellent sound quality. Despite numerous options, it doesn’t seem to be complicated but rather very simple to use. This is the newest version of the drum sampler that comes from a renowned German company that is well-known for its software and hardware for audio creation, production, recording, DJ-ing etc. This plugin has a lot to offer. First of all, you can count on a huge library of samples, with 143 top-quality kits. Despite tons of options, it seems quite easy to use, since main parameters like L-R switching, Volume, Key Range, Reverse, Phase invert and similar things are easily accessible. It’s a great tool for electronic music producers. You can buy this one either separately, or as a part of complete NI Ultimate package. For many of us, there is nothing better than a sound of an old analog drum machine. This AU/VST plugin mimics the sound, as well as the look of the legendary Yamaga RX5 drum machine, which was used by numerous icons like Vangelis, The Pet Shop Boys, Depeche Mode, Louie Vega and many others. It comes with 4 drum kits (Yamaha RX5 Kit 1, Yamaha RX5 Kit 2, Synthetic Kit, Ethnic Kit), 1 FX set and 4 instruments (Bass, Clavecin, Marimba, and Orchestra). It’s extremely easy to use since it comes in a classic 12-pad layout. All preloaded samples are very good. Not bad at all for a free plugin. Arturia Spark 2 is one of the best vintage workstations that you can find around. It offers probably the biggest sound collection of classic drum machines. Although this plugin is impressive in pretty much all aspects, I would say that its strongest point would be an impressive library, which includes more than 2800 instruments, numerous banks, and patterns created by professionals etc. Practically, it covers pretty much all music genres, so everyone can use it. It is a perfect tool for all those who want to spice up their music with a strong vintage flavor. This is the updated version of the original software, which brings several novelties, including new mixer, new graphics, tabbed pages and much more. Definitely a great value for the money! 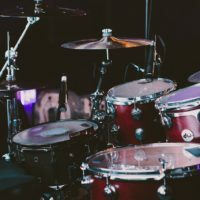 If you are a songwriter who searches for a hi-quality drum kit emulator for recording, this is the one for you. Designed by award-winning engineer George Massenburg, this plugin offers a top-tier sound quality. It is also extremely easy to use since its graphics emulate conventional drum kits. There are six drum kits in total, as well as various other instruments. The sound library is huge, while MIDI conversion works very well. Besides traditional drum kits, you can count on more than 350 vintage drum machines, as well as on 35 mixer effects. 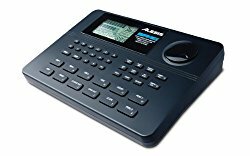 Such additional features make this product suitable not only for traditional pop and rock genres but for electronic producers as well. This is a pretty simple piece of software which emulates the iconic Linn LM-1. This classic drum machine was used by numerous pop icons, including Michael Jackson and Prince. The graphics closely mimic the legendary unit, with almost identical controls and configuration. Although it is free, it offers pretty decent sound quality. Ok, it might be a little dry for some, but nothing that a good EQ can’t fix. Definitely worth of trying. The Drumazon is definitely of the most realistic sounding drum machines that you’ll find around. It emulates the iconic Roland TR-909 drum machine, both in terms of sound and looks. Every single sound of the original has been captured perfectly, so this software seems to be a real time machine. Compared to the original, it offers a few enhanced controls, which makes it easier to use. Still, you will need some time to get used to controls and that is probably the only drawback of this produces. Everything else works perfectly, including top-tier sound quality. Also, the price is very attractive, considering the value you get. This plugin definitely could be a good alternative to expensive drum software. Although free, it offers a pretty good quality and plenty of features. First of all, it is pretty easy to use, thanks to highly transparent control. Also, it features pretty nice 3D graphics with several skins in the offer. In terms of sounds, there are 16-20 of them per kit. Still, the best thing about the plugin is that it works pretty smooth on every computer. It doesn’t have high system requirements at all. Just two 1GB of RAM and 2 GB on a hard disc, despite tons of features, attractive layout and up to 16 outputs. Above all, it offers pretty decent sound quality. Definitely worth of trying. The best thing about Ableton Live Drum Racks is its ease of use. It keeps everything simple which, along with affordable price, is the main reason why this software attracts such a wide range of users. It is specially designed for producers that require rapid workflow. It consists of tons of samples. You can count on more than 160 analog-sourced drum kits, 10 custom macro-mapped drum kits, as well as more than 200 slick drum groover that could be a great starting point for your work. Some of the classics that are included are Arp 2600, Moog Minitaur, EMS VCS3, Roland SH-101 and Juno-60. It is important to mention that this plugin requires Ableton Live 9 software. There are many plugins that emulate vintage drum machine but this one mimics three of them. It is a software that emulates three legendary drum machines from Roland – TR-808, TR-909, and TR-606. It is a perfect tool for all Roland lovers who want to get an authentic sound of iconic units for the 80’s for a pretty affordable price. Moreover, you can take the best sounds from each unit and use them in a single interface, which gives countless possibilities. It is a great way to create your own custom kits and patterns by picking out the most desired sounds from each of these three iconic drum machines.